I have many photos of Puss and hopefully will get time to scan some more. 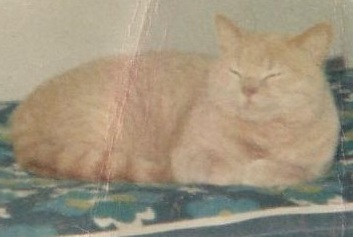 Puss was a real free spirit, an outdoor cat. 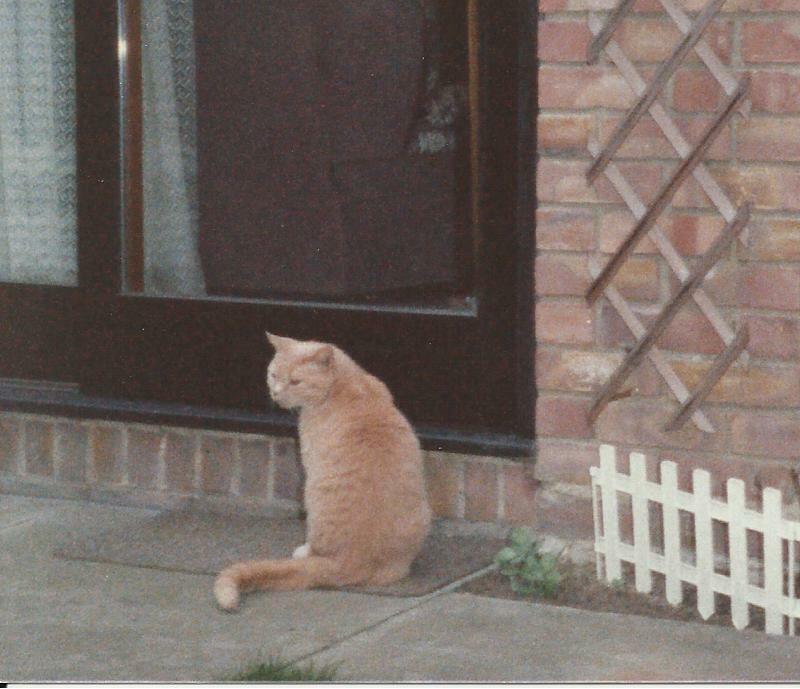 I first got him when I lived in Chelmsford, we moved two years later to Ashford and a few years later to Docklands, London. 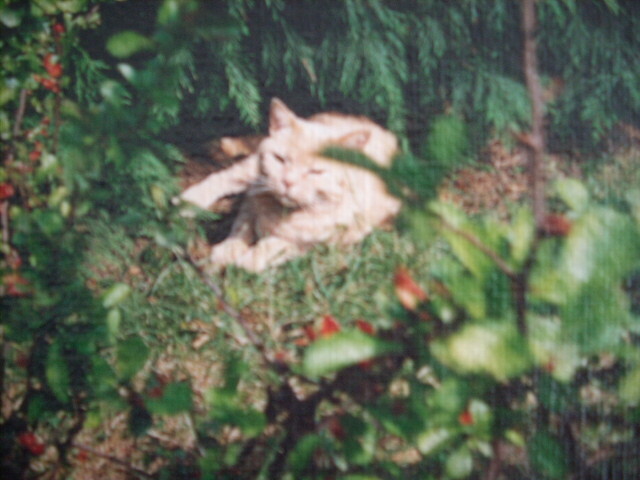 He was a great hunter and used to bring birds and mice in regularly. In his last few years he developed toxiplasmosis which made the blood vessels in his eyes bleed when he was stressed but he stoically accepted the treatment and frequent visits to the vet. Puss woke me up one morning with legs covered in blood and cut to the bone - somehow he had managed to crawl back home and through his cat flap, and it was apparent he had been in a road accident. I rushed him to a vet hospital where he was in for about a week. The wound failed to heal and they were forced to amputate one rear leg. I had my doubts on how he would manage with just three legs but these quickly vanished and he spent the last three years of his life still a free spirit. 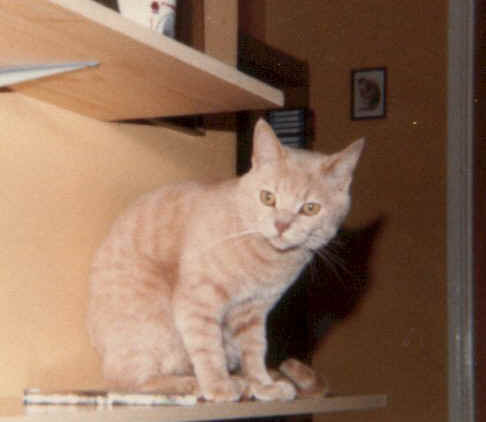 He still caught birds and mice and would run along the top of fences like any able bodied cat. He was a great inspiration of how a handicap can be overcome. Sadly his nine lives run out when he was involved in another accident. He didn't come home one morning for breakfast and I called in vain. I had to leave for work and just drove around the corner to find him cold and lifeless in the road.